"blue moon" as a "Wiccan ritual killing." "This article is just stupid, that's not Wiccan. That's just crazy, just another way to sensationalize the news and make people fear something else they do not understand. Pretty soon you will have a 21st century witch hunt. What's the matter; the race war not working out for you...?" "Um...no, this isn't a Wiccan ritual. It actually doesn't sound like a ritual, just a coincidence. Still, if the person was Catholic, you wouldn't say that it was a Catholic ritual killing, would you? Just as it's obvious that it's not part of the Catholic religion to have ritual killings, the same goes for Wicca. I know this, because my husband is Wiccan and this is not part of his religion at all, and I've also done my own research." "Wiccans are nicknamed fluffy bunnies for a reason. They don't believe in using witchcraft for evil acts. And to throw Satanism out there, pisses me off. IF people would do something called investigating, they would learn that Satanists do not believe in harming the innocent, nor do they sacrifice animals. Pick up a book before spewing falsehoods about certain sects and beliefs." "I guess some people haven't learned from the "Satanic Panic" of the late 80s and continue to spread hysteria over "ritualistic" crime. I am willing to bet the motive of this crime had nothing to do with religion at all. Murder is absolutely not a part of Wicca. In fact, the highest law of Wicca is to harm none. If the suspect happens to be Wiccan, he violated this law. We don't call it "Christian crime" when a Christian breaks the law. For what it's worth, murder isn't part of Satanism, Vodoun (Voodoo), or Santeria either." A "blue moon" does not actually look blue. If you see the moon when it seems blue, the color is caused by a rare type of dust in the atmosphere. That occasionally happens with the moon in any phase. Imbolc on FEB-02, in the middle of Winter. It is also known as: Blessing of the Plow, Candlemas, Disting, Feast of the Virgin, Festival of Milk, and Groundhog's Day. Beltane about APR-30: This was the end of the Celtic Winter season and the beginning of their Summer season. It is also known as: Beltaine, May Day, Roodmass, and Walpurgis. Lughnasadh about AUG-01. This is the middle of Summer. It is also known as Ceresalia, Feast of Bread, First Harvest, Lady Day, and Lammas, Lunasa, and Mid-Summer. Samhain on OCT-31: This is the end of the Celtic Summer season and the beginning of Winter. It is also known as All Hallows Eve, Blood feast, Celtic New Year, Day of the Dead, Halloween, Last Harvest, and Winters Eve. Yule about DEC-21: the shortest daytime of the year. It is also known as: Christmas, Day of Children, Midwinter, Mother's Night, Saturnaliaor, or Winter Solstice. Ostara about MAR-21: a day with nightime and daytime equal. It is also known as: Alban Eilir, Easter, Lady Day, Spring Equinox, or Waxing Equinox. Midsummer Eve about JUN-21: the longest daytme of the year. It is also known as: Litha, Summer Solstice, Vestalia, and Whitsuntide. Mabon about SEP-21: a day with nightime and daytime equal. It is also known as: Alban Elfer, Autumn Equinox, Fall Equinox, Harcest, Mabon, Second Harvest, and Wine Harvest. Some Wiccan traditions hold special ceremonies at this time. 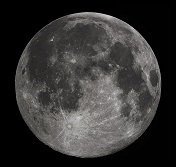 Otherwise, a blue moon has no specific meaning that differentiates it from an ordinary full moon. It is worth noting that esbats are held on the day of a full moon. The mass killing in Florida happened three days before a blue moon. "Ritual murder is not part of the Wiccan religion, it never has been, and it’s not now. It goes against the ethical principles of the religion. [Wicca and other nature-based religions are] about celebrating life and celebrating the cycles of the season and nature, and living in harmony with other humans. If more people understood that, there would be less prejudice. "You seriously can't expect us to believe that they were killed due to witchcraft. I think you've watched too many shows or movies that lead you to the false belief Wicca or paganism or "witchcraft" is all about the taking of life. While the killing can be ritualistic you're looking in the wrong area. You need to be looking at the beginnings of a serial killer. Stop making assumptions and profile whomever did this for real. One of the men that were killed worked for Homeland Security. So it's someone that's had training to be able to handle him. This person is strong since they could move three grown male bodies and lay them out in a specific manner. They used a claw hammer to bludgeon them to death ... This person came prepared and believes no one else matters. There's the possibility this person isn't able to connect to their emotions. The men had their throats slit... Could possibly mean this person didn't want them to scream out either actually or metaphorically. Was there blood at the site where the bodies were found ... Were they moved and the blood site found else where...how far away? Have you even considered all of this or all you assuming a wrong answer cause the government is involved and you want to get answer for them even if it's a wrong one??? Nature religions are about NEVER harming another soul. You're saying they are blue moon murders and yet they happened on a Tuesday not a Friday. You're barking up the wrong tree because of the pressure you think you are feeling and you're making assumptions that are wrong on limited information and no respect for the facts of things you know nothing about.